Mrs. Carol is beginning her 7th season teaching at Starz In Step. She serves as our resident gymnastics coach. Carol is a teacher at Bandy's High School and was previously the Bandy's Cheerleading coach. Carol is married and has three wonderful children. They live in the Sherrils Ford area. Miss Olivia Robinson Strupp graduated from Garnder Webb University with a degree in education. Olivia teaches French at Mooresville High school. Olivia has extensive years of dance, competition and pagent experience. Oliva is an active member at Denver Baptist church, teaches youth and enjoys sharing her love of dance with others. Mr. Darren Hedrick is our Operations Director and teaches clogging at Starz In Step. Darren has 30 years experience clogging, training, competing in the clogging field. He is well versed in both contempory and traditional clogging...but contemporary is his passion. Darren has contacts with members of "All That" clogging team that performed on America's Got Talent, Bailey Mountain Cloggers, and more. Jessica Hedrick (Darren's wife) will began her teaching career in 2016 season teaching mini clogging, recital and competition hip hop. This season she will also take on the progressions technique for our competition teams. We are so blessed to have Mrs. Jessica on staff! 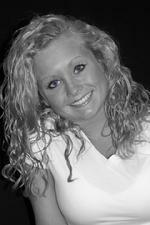 Paige Bradshaw is now in her second season as a Starz In Step gymnastic coach. Paige is also available for private gymnastics sessions. Paige graduated from UNCC with a BA in middle school education degree. She cheered for the forty-niners for three years in college. She teaches high school math at Bandy's High School. Her and her husband are active members of the Mt. Anderson Baptist Church...they just welcomed their first child John in May 2017. Brynna Haddox and Alexis Keller will be starting their third season a student teachers. We will continue to mentor them as they express their love of dance and working with kids!